Wild elephants in Britain? Rhinoceros? Hippos? George Monbiot certainly knows how to grab the attention with ideas that are both outrageous and thought-provoking. In his recent book Feral and in a talk I attended at the Edinburgh International Book Festival he argues that as the bones of such huge beasts have been found under London and our trees and shrubs are adapted to cope with such big browsing mammals we should consider reintroducing them. That quickly grabs the readers or listeners attention. Monbiot is very serious though. Perhaps not about those giant creatures, at least not yet, but definitely about the need for rewilding, including bringing back previous inhabitants – boar, beaver and lynx the more likely ones to start with. He’s a good speaker and the book festival talk summed up the main points of the book in a passionate and stirring manner. The book itself I’d enjoyed reading a month earlier, during my Scottish Watershed Walk, while lying in my shelter in the evenings, with wind, rain and the call of birds the only sounds. Monbiot mixes tales of his own outdoor adventures, on foot and in kayak, with detailed arguments and information on how impoverished the natural world in Britain is today and how much richer it could be. He also shows how hard it can be to recognise this due to the wonderfully named ‘shifting baseline syndrome’, which basically says that we perceive the world as it was when we were young as the ideal state. So we see that the natural world isn’t as diverse as it was but not that it was already depleted in our youth and that trying to recreate that is still aiming for a degraded ecosystem. Monbiot’s answer to this is rewilding – by which he means leaving nature alone and accepting however it develops. The only human interference he advocates is the reintroduction of missing animals. Indeed, in places in the book he berates conservationists for trying to manage nature. I’m with him here. Rewilding will occur naturally if allowed to. The results might not be as expected or even desired but it will be wild nature. The ideas in the book are not particularly new. I enjoyed Monbiot’s polemic against sheep and the damage they do to the uplands but he’s only echoing John Muir, who called them ‘hoofed locusts’ back in the late nineteenth century after seeing the devastation they wreaked on meadows in the Sierra Nevada mountains in California. Monbiot’s ‘wet desert’ description of the Welsh hills follows on from Frank Fraser Darling’s use of the phrase to describe the Scottish Highlands back in the 1940s. It was from my own visit to the Sierra Nevada and from reading Muir and Fraser Darling that I learnt how to overcome ‘shifting baseline syndrome’. Hiking through the Sierras I discovered what a really wild forest was like. 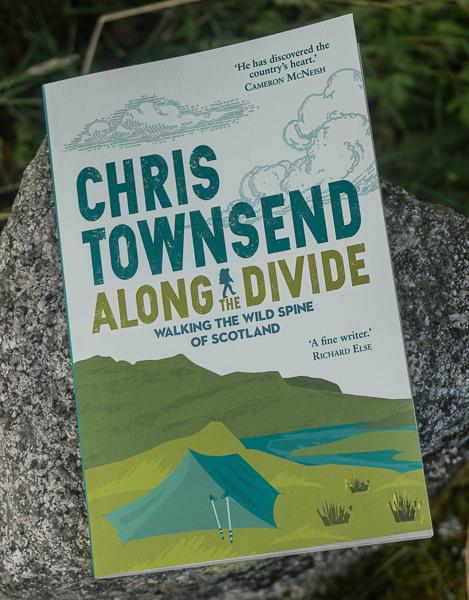 Until I read Fraser Darling’s The Highlands and Islands in the Collins New Naturalist series I thought the Scottish hills to be pristine wilderness that should be preserved as they were. Only after seeing the Sierra woods and reading about overgrazing by sheep and deer did I see just how degraded much of the Scottish Highlands have become. The importance of Monbiot’s book, which is well-written, entertaining and well worth reading, lies in part in his prominence as a campaigning journalist, which means that the ideas it contains will receive far more prominence than when expressed by less well-known writers. The ideas are expressed well too. We need more writing like this. It's an interesting idea, and one that raises it's head from time to time. As you say, the thinking is not especially new. But the big problem we have in the UK (which may be different if you take Scotland in isolation) is that we are a small island with a massive population. This means a high level of wild land interfaces with cultivated land, and that nowhere is very far from anywhere. So there's housing, villages, towns, cities, plus fields for crops and livestock to help support us - pressures such as these to contend with. Personally, I think it would be a good thing to re-introduce certain species that have become extinct in the UK, to improve the biodiversity of this little island. I'm just not sure how possible it is, especially given the general reaction/outcry to the Alladale project and possible reduction in access. With all the bad press that surrounds such proposals whenever they are aired, it may well end up doing more harm than good. I think it depends on the species and the location. There are boars in some areas now. Beavers are established in the River Tay area. Sea eagles and red kites have been successfully reintroduced. I would oppose any reduction in access and Monbiot made it clear he would too in answer to a question at his talk. Yes, some of these species have been re-introduced. Whether successfully, though, is open to debate - there has been lots of disquiet from farmers about the Sea Eagle re-introduction, Red Kites are not universally loved, and wild boar are considered potentially dangerous and the cause of much damage in places where they live. So, to say they have been successfully re-introduced may be true on a sustainable population level, but not, perhaps, in terms of acceptance. As for some of the larger species mentioned - bear, wolf, lynx, moose, for example - the potential animal/human/livestock interface is going to be difficult to manage - if indeed it can be managed. How can we realistically consider re-introduction in a way that is anything other than a glorified safari park? That then would surely mean access control? Jules, despite the disquiet of farmers I think the sea eagle introduction has been a success. They are now a tourist attraction. No species will ever be universally loved - there are those who would destroy wildlife already here, let alone introductions - but that doesn't mean introductions shouldn't go ahead. Mixing the species you mention with humans shouldn't be a problem. It isn't in other parts of the world so no reason it should be here. Large predators and livestock would need managing - but given that sheep farming is fading and only exists in the hills due to subsidies I think that will be less of a problem in the future. In the meantime compensation for livestock would be the answer. Don't get me wrong: I'm a supporter (in principle) of the idea of re-wilding and re-introducing lost species. And I agree: the re-introduction of the Sea Eagle should be considered a success. And, in an ideal world, I hope that more projects like it can go ahead in future, because I really do believe they can be tourist attractions that can bring money and jobs to an area. But there is a problem. It's not an ideal world: far from it. And I think it's a very different matter considering the success and acceptance of re-introductions and the presence of large predators in places that have huge tracts of almost empty land (like Scandanavia and North America). And then there's the simple situation (rarely considered) that most of the countries/areas we refer to in citing how successful such projects can be and how well human/animal interactions work are countries used to coping with the presence of such large animals and top-of-the-food-chain predators. We in the UK don't have that experience within living memory: it could be a disaster. It's certainly not time to reintroduce large predators and it probably won't be for many years. But lynx and other smaller animals could be introduced soon. And beaver could be introduced into other areas (and the ones in the Tay left alone). 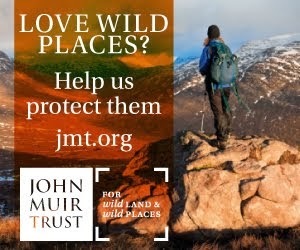 The Cairngorms National Park are showing an interest in this - http://www.bbc.co.uk/news/uk-scotland-highlands-islands-23343202. If you haven't read 'Feral' I'd recommend it as Monbiot does a good job of addressing the understandable concerns. He only recommends wolf reintroduction in Scotland which has some of the most sparsely populated land in Europe and no shortage of wolf food (i.e. red deer). Wolves could be vital in regenerating native forest, not just by killing deer but by moving them around more - something which human culling doesn't do (we don't chase deer around). The Autumn 2012 edition of the Scottish Wild Land Group's 'Wild Land News' has an interesting piece on how wolves are re-colonising Germany. Apparently it was entirely wolf-free for at least 90 years from 1900 and had hardly any wolves for 50 years before that (i.e. outside living memory). Other countries in western Europe that haven't seen wolves in many years are seeing them return as well. It could work here if we gave it a chance. You could argue it goes against some of our deepest instincts - our drive to control the natural world: our ancestors in good faith wiped out all the big predators, now we're talking about reintroducing some of them and learning to live with them (a sign we're growing up as species, perhaps, as we're learning how important nature is to our well-being). Yes there's a small risk to people but let's get it into perspective: 2,400 children were killed by cars last year, we're not about to ban cars though. People go trekking in Alaska and Canada all the time. By following some well-established rules they usually avoid being molested by wolves and bears. Small example - I live in the centre of a city. We see foxes around all the time even in broad daylight. I've had to teach my 3 year old about them - they're wild animals, you can look at them but never approach them. Come on, wolves and lynx in Scotland - it would be brilliant! Having got this "into" the discussion, I think your right Stephan! It's obviously something that has piqued my curiosity, so I guess it's a no-brainer that I should actually read it! TBH, in a way I've been playing Devil's Advocate because the whole idea is something that has immense appeal to me. And you're right, Wolves and Lynx on these shores would be spellbinding. I just think there is a whole battle of "hearts and minds" to be played out before we can get any nearer to the reality. I agree, it's not going to happen in the very near future (not wolves anyway). Lots of education, myth-busting and challenging/persuading vested interests is needed first, it can't be done without proper informed consent. Definitely a vision worth holding onto though. Another point I'd make is use/understanding of the term re-wilding. If we stop managing areas and leave them to run wild, they will not return to what they were. Instead they will develop a new sort of wildness based on what species are on hand to re-colonise the areas - not necessarily those we imagine might be good to have back. So we shouldn't be assuming we will get back what we have lost: to do that will require management. Is that a bit at odds with the concept of re-wilding? Jules - the idea of rewilding I think is that you don't manage unless as an absolute last resort (you might not want to let wildfires burn out of control for example, or if a lone wolf developed a taste for livestock it might have to be shot). It's not about recreating something, it's about letting ecosystems be 'self-willed'. We have been interfering for so long that we can't predict what a self-willed ecosystem would look like now. So yes it would be a new sort of wildness based on what species are there and the other unique circumstances of our time e.g. climate. Monbiot talks about 'keystone species' in the book, meaning species that have much further-reaching positive impacts on the ecosystem than you might logically predict (they set off 'trophic cascades'). So for example the presence of wolves ultimately promotes the regeneration of forests as described elsewhere in the thread. Beavers can greatly improve river habitats as well, benefiting lots of other species. So maybe by reintroducing these keystone species you would ultimately end up with something richer and relatively stable. Also some of our native species could control certain invasive species which we'll never be able to remove completely, if they could be brought together. For example pine martens would do well on grey squirrels, and lynx might thrive in our picturesque blanket conifer plantations on sika deer. Sorry, I'm not impressed, I cannot take the man seriously. I'm not quite sure, that is, how Monbiot can talk, with a straight face, about re-wilding Britain. Leaving nature alone? For heaven's sake, for years, he's been arguably the most influential advocate of wind farms! Without question, he's been responsible for the now widespread view that wind farms are a beautiful addition to the countryside. He's argued time and time again that we need them, that, at worst, they are a necessary evil and at best an improvement to the ecosystem. It really takes the biscuit for someone that has gleefully endorsed the wholesale destruction of uplands environment in Britain to now make some money out of a book that is in blatant contradiction with his enthusiasm for dropping tonnes of concrete on peatlands! I knew he was a master of hypocrisy at many levels, but this takes it to a new level. I don't think there's any hypocrisy involved. I think he's quite genuine and his book and ideas are to be welcomed. He spent five years living in rural Wales and this clearly had a big effect on him. Well, with all due respect, Chris, perhaps we attach different meanings to the word 'hypocrisy'. Check Monbiot's record on windfarms. In 2007 he said it was time to stop building wind farms on land. Thing is, he said that with respect to wind farms in Wales where he's got his little abode! But then when speaking about energy policy more generally in later years he's gone back to supporting large scale onshore wind farms against micro-generation. And as recently as 2011 he was still arguing for onshore wind against offshore wind because of costs, berating opponents of wind farms in the process. I haven't read his latest output on the matter, so I'm not sure whether he's had a Damascus moment. But I'd be surprised if he's changed his position on wind farms. And as I say, he's been instrumental in changing public attitudes towards wind, where we now have a large majority of people supporting it. Maybe he's genuine in the sense that he's not even aware of the contradictions in his position, but as I say, from where I'm sitting he's the last person who should be talking about rewilding Britain. He's contributed in a big way to making Britain considerably less wild through his love of wind farms. I'll now shut up, it's your blog after all! I find it easy to agree with re-wilding until I see how many huge fences are being erected across Scotland simply for deer management, what on earth they wld have to do for other more dangerous species I cant think. However is the debate and through thats important. Certainly the tourist attraction of carnivores in eg Roumania is significant. Re-wilding should never involve fences. It'll be some time before species such as wolves that are perceived to be dangerous but aren't are accepted but other less controversial species could be introduced now. There are many places in the world where wildlife is a tourist attraction without need of fences - wolves in Yellowstone National Park for example. However, having read 'Feral' and heard him speak I do think he is genuine about rewilding and this is to be welcome. Och well, Chris, I hope you're right and the man is finally seeing the light! I tell you what, I was up on Ben Avon a couple of weeks ago having a bimble around the entire plateau. The tracks on its North East side are appalling, I mean the area West of Inchrory Lodge. There was a bit that looked like spaghetti junction! So, if rewilding means getting rid of stalking tracks like that, planting native forests and encouraging lynx to come back to Scotland (the way I understand it, the lynx would be the most suitable predator for reintroduction), then I'm all for it, and if Monbiot can do some good in that direction, I'd be welcoming that. As we all know, wind farms kill bio-diversity, so it'd be good if in his new book he'd mentioned that as well, but somehow I doubt it! Rewilding ain't going to be easy though. The basic concept, that of letting nature take care of itself, is, to my mind at least, incoherent. We've mucked up the ecosystem, so there's no such thing as letting nature take care of itself any more. Take the pine marten/capercaille conundrum. We've made it easier for the pine marten, and the capercaille is suffering. Why? Because the pine marten has no predator to speak of now. Reinstating a balanced food chain, if ever there was such a thing, ain't going to be easy. But it's good to talk about it and to that extent Monbiot's book is to be welcomed. If only he'd started speaking up against wind farms! To be fully consistent, he ought to admit that rewilding and wind farms cannot coexist. There is so little wild land left, and wind farms are encroaching heavily on areas previously left relatively untouched. My 2 cents, of course. Thanks for listening! Andy, I think bulldozed tracks are a bigger eyesore than wind farms at the moment (though potentially the latter could be worse and I agree with you about them). I saw many on my Watershed walk. MCofS have been campaigning on this and I see that Ramblers Scotland have now joined in. The problem is that estates don't need planning permission if the track is for 'agricultural purposes', which apparently includes grouse shooting and stalking. Lynx might be an answer to the pine marten/capercaille problem. We can't predict the results of rewilding though and as I said in the blog piece the results might not be what we desire. Monbiot is very pro-nuclear as the only real option to reduce CO2 emissions quickly, which has led to big bust-ups with other environmentalists, especially Jonathon Porritt. If you look at the articles on nuclear/energy on his website, he's well aware of the issues with renewables especially cost (including to the consumer) and reliability. It would have been interesting to see him address wind farms directly in 'Feral'. I did think it was a glaring omission when I read it. Hi Chris, on your last remark that the results might not be what we desire, that's very true indeed! Three years ago I was coming off Beinn nan Aighenan this time of year. It was latish, so I decided to come along the glen between Aighenan and Glas Bheinn Mhor back towards the path to Victoria Bridge. At one point I had to go through an enclosure for woodland regeneration. In there, the heather was waist high, no path, no nothing. Lovely birches and juniper and all sorts of shrubs. But! Midge hell! And slow going because with no sheep and deer going in, it was indeed wild and highly walker-unfriendly! So, without question one consequence of rewilding the Highlands would be that we'd have a much rougher experience when leaving the beaten track! I can see the day hill walkers will be missing the days when the Highlands were sheep-infested! But I think it'd be a price worth paying all the same. Monbiot did speak well and the 'let's-aim-high' message (I think what he meant by 'positive environmentalism', going further than just conserving the current state of things or making things a little less bad) deserves to be amplified. I'll look forward to reading this book. I have followed Monbiot over the years and believe he is a sensationalist. His basic reasoning on whichever 'topic' piques his interest is often sound. But then so is most people's. As our population expands, our wild places become tamed for agriculture and urbanisation leaving little room for "rewilding" - especially on a tiny, overpopulated island like the UK. As much as I would like to live in such an idealised world, these notions of reintroducing elephants just because elephants once roamed our land (before it became an island I might add) and predators such as wolves (lovely animals) simply are not possible. We have problems reintroducing certain birds of prey! 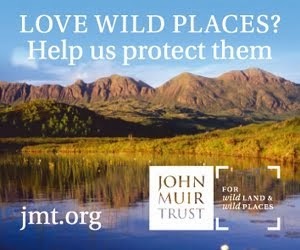 I am all for protecting our wild spaces (without blighting them with eyesores such as those costly and inefficient wind turbines) and, where practical, allowing our already declining wild species of flora and fauna to re establish themselves again. These should be our priorities BEFORE we start bringing back species that would only vie for 'space' with our existing and declining habitat. Chris, Monbiot doesn't really think elephants should be introduced but he uses them as an example. He puts wolves lower on his list of possible reintroductions than many species (lower than I would put them in fact). His book is detailed and quite realistic. I think there is masses of room for rewilding - which means allowing the ecosystem to restore itself. Bringing back species would not vie for space though but would speed the restoration, as Monbiot shows in his book, through the idea of trophic cascades. The effects of wolves in Yellowstone show how this works. Reintroductions are needed to halt the decline of existing habitats. Take deer for example. They are the main cause of the decline of nature in the Scottish Highlands. Reducing their numbers is essential and so far human attempts to do so are very piecemeal. Wolves would not only reduce their numbers but also keep them moving so that areas wouldn't be so heavily grazed. Some areas deer avoid altogether when wolves are present. I don't think Monbiot gives enough importance to the need for wolves! Of course I accept that they couldn't be reintroduced now but I hope that the way can be prepared for reintroductions in the not too distant future. @ Chris Pilgrim - in Scotland at any rate wild places aren't being tamed for agriculture, quite the opposite, people have been retreating from or getting pushed off the land for decades and more. Go to most Highland glens and you'll find ruined crofts and overgrown field systems. The UK population is growing but most of that growth is in the south-east and in cities. Most of the highlands will never be urbanised (industrialised by windfarms maybe - I agree that doesn't sit well with re-wilding). Most of it is totally unsuitable for any sort of agriculture. Chris, just one more point if I may. When you define rewilding as 'allowing the ecosystem to restore itself', you (and Monbiot, I take it) are making a rather big assumption, namely, that there is such a thing as a 'natural state' for an ecosystem and that such a state is somehow better than anything *we* could come up with. The fact is, nature is far from being the sort of benevolent goddess than neo-age folks (and some scientists too!) seem to think it is. There is no such thing as saving the planet: the planet doesn't care either way (Jupiter seems to be doing all right, it is not a "worse" planet than Earth, is it). There is such a thing as saving ourselves. What I'm getting at is that nature is for the most part a highly malevolent enterprise. Species are lost, ecosystem destroyed and rebuilt. Mudslides, asteroids, volcanic eruptions and so forth, these are all "natural" thing and make profound changes to ecosystems. The resulting balance is no better or worse than what it replaces. Hence, it is wrong to think that rewilding is, in and of itself, a better thing than a managed environment. For instance, if we stop the practice of muirburn, lots of species will do less well (and not just grouse), we'll eventually get huge moor fires, once old heather decays and catches fire in a thunderstorm. Other species will thrive of course. But to repeat, in and of itself there is no reason to think rewilding will give us a *better* environment than what could be achieved by *good* management. What it will give us is an environment that will reach a new balance without human interference, but there is no evidence it will be necessarily a better environment. Especially because it is not clear how to define "better": more diverse? with equal distribution of species? But not all wild environments are of this kind at all! In some cases, only a few species do really well, to the detriment of others. So, Britain being what it is, I think a better environment (from *our* perspective, for the planet has no perspective of its own) would be a sensibly managed one, rather than one where we 'let nature take care of itself'. There is no such thing as 'nature' and if there were, it would have no 'purpose' either. Just survival of the fittest and winner takes all, sadly. Andy, of course the ecosystem changes all the time and there is no final or ideal state. However much of our wild land is now degraded and rewilding would produce a more diverse and healthy ecosystem that was not declining. Rewilding doesn't necessarily mean no management - I think it's a goal that management should aim towards. So everything should be judged on whether it aids rewilding or not. In the Highlands, where I live, I am in favour of reducing deer numbers and I've seen the effects this can have on forest regeneration. In places I can also see that fencing is needed. In his book Monbiot praises Trees For Life, who have fenced large areas, so he's clearly not opposed to all management. Overall management towards rewilding is necessary, management that hinders rewilding will give us a less diverse and less healthy ecosystem. I've written elsewhere (including in my Cicerone Press 'Scotland' book) that we can't return the land to any previous state and that it would be impossible to pick an 'ideal' time anyway. Rewilding means seeing what happens and the ecosystem that evolves won't be identical to any previous one (it'll include Sitka spruce for a start). Wolves don't just affect deer numbers by killing them. As the experience of wolf reintroduction in Yellowstone shows wolves keep deer on the move, which eases grazing pressure, and deer learn to avoid areas where wolves can easily trap them so in these areas there is no grazing. The result is a much more diverse ecosystem with many more species. I think just a few wolves would have a big effect in the Highlands but they wouldn't mean no culling or fencing was necessary. Interesting point about keeping deer on the move, Chris. But wouldn't wolves go for easier prey, like sheep and especially lambs? Lambs are born earlier than fawns, aren't they, so they would be first choice in spring? I'd love to see wolves back in Scotland, but as long as hill farming is as widespread as it is now, maybe introducing wolves will have more of an impact on sheep than on deer? No doubt people have studied the situation elsewhere. I think in France, Spain and Italy there are problem areas where farmers have had to go back to sleeping with their flocks! They're also relying on rather ferocious sheep dogs. I'd be a lot more worried about meeting up with one of those dogs than with wolves! But yes, it'd be wonderful to get some predators back in the Highlands. In a way, this is why I questioned the use of the term "re-wilding" earlier in the thread. The very name suggests a return to something encountered once before and, as Andy says, how can we and who are we to determine that ideal point in the past? It's not true anyway, as we have agreed, there will have to be a "new-wilding" that results at the end of the process. I'm not keen on 'rewilding' either but it's become a common term. In context I guess it means 'returning to a wild state' rather than 'returning to a previous wild state'. I didn't follow the 'right to roam' debate in England and Wales closely. Here in Scotland many landowners weren't onside with access rights but the legislation went ahead anyway after the landowners damaged their own case by using the foot and mouth debacle as an excuse to try and keep people off their land. Overall the access situation is working well in Scotland. Re-wilding to me is letting natural processes re-assert themselves rather than aiming for some sort of ideal state. That's the problem with mainstream conservation according to Monbiot's book - they're trying to preserve habitats in a particular state, and that can mean not letting natural processes resume even if it results in greater biodiversity e.g. preventing trees from re-colonising. I agree with Andy that the Highlands aren't going to be able to support enough wolves to make a real dent in the red deer population: http://www.everythingwolf.com/news/readarticle.aspx?article=22 (there's also an interesting bit in this article suggesting wolves prefer wild prey to livestock). Therefore there would still be a need for management i.e. humans culling red deer to get them down to reasonable numbers. There's a paradox in that although the idea of rewilding is great, most people would also agree there needs to be a major reduction in the numbers of deer, and that implies continued management and human involvement, and also some assumptions about what this new state of 'wildness' should be like - i.e. more forest supporting more species. With rewilding like everything else it's probably best not to be too much of a fundamentalist! In practice it wouldn't mean no management at all I'm sure, especially in the early stages. Hill farming is a declining industry and only viable through subsidies. I think this decline will continue and will speed up if subsidies are cut. Where I live there were three livestock farms 24 years ago. There's one now, covering the land of all three, and several large fields are slowly returning to forest. In some areas wolves might have an effect on sheep (and cattle) but compensation could cover this. Overall though it's deer they'll eat. And deer stalking estates that will oppose any reintroduction. Some of those estates oppose deer culling and reforestation. It'll require a big change for wolves to be reintroduced and I don't expect it to happen anytime soon. However over less controversial creatures like lynx could be introduced very soon. And beavers could be introduced into more areas. The elephant in the room is land ownership and the near-feudal situation where a few hundred very rich, often absentee landlords own the Highlands and do what they like with them. However even these interests could be accommodated if they have a little imagination. There would still be red deer (bigger healthier ones), and if animals like wild boar became widespread they could be hunted too. An obscene amount of money could even be charged to shoot the occasional wolf. It's not just feudal landlords standing in the way of rewinding, Stefan. There'll be a nice glow to the North when camping in the 'Gorms, and no, it won't be the Northern Lights, it'll be the lights from the new town that I expect will be quickly filled up with retired people from down South (no offence meant...). In fact, one paradox of any talk of rewilding in the Highlands is that if one wants to go back to how things were, well, there are thousands of old buildings in the remotest of glens that were once inhabited. So in some sense, rewilding the Highlands could also mean reintroducing humans to places where they once lived! It's not just in Scandinavia where re-wilding is taking place. Wolves and lynxes have been spreading naturally from East Europe since the disappearance of the Iron Curtain. These animals are no longer uncommon in western Germany and are expected to reach Belgium and the Netherlands in the very near future. People do not seem particularly concerned about this and many actually welcome it. There seems to be a greater tolerance of raw nature on the continent than in the UK where most people prefer a 'manicured' and safe variety of nature.